After a spell in Ibiza during the 80s, Ku Bar’s owner, Gary Henshaw, was inspired by the now defunct Ku Club. Taking the name from the iconic Balearic nightspot (infamous for hosting Bacchanalian parties), he hoped to sprinkle some of the same Ibiza fairy dust on London. Ku Bar has now worked its magic on Soho for over twenty years and it’s still going strong. One of the first gay bars in the area, it was a beacon for the LGBT community. 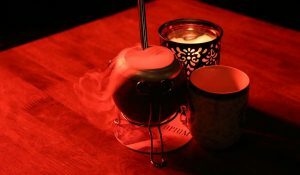 After moving from Charing Cross Road to its current Lisle Street locale in 2007, it still retains its blissfully attitude-free, inclusive and welcoming spirit. 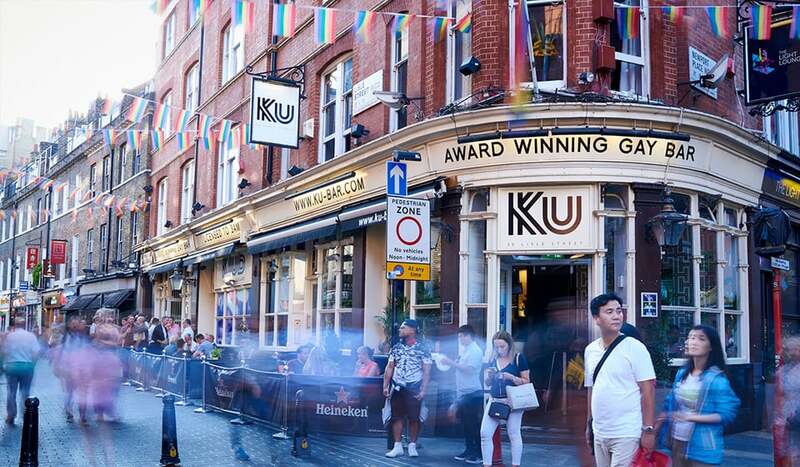 One of Pride in London’s sponsors, each year Ku Bar pump up the action and celebrate in style, with the party spilling out onto Chinatown’s streets. 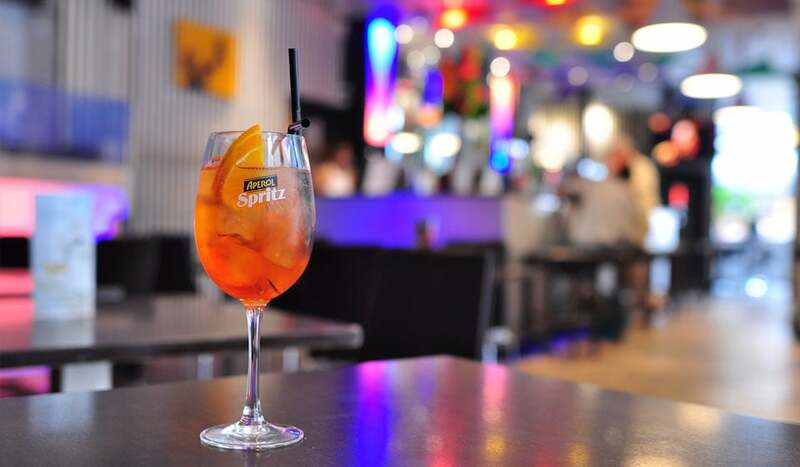 Open seven days a week from midday to midnight, Ku Bar is a destination hotspot for fun-seeking regulars, locals and tourists looking to throw some crazy shapes to the latest pop smashes. 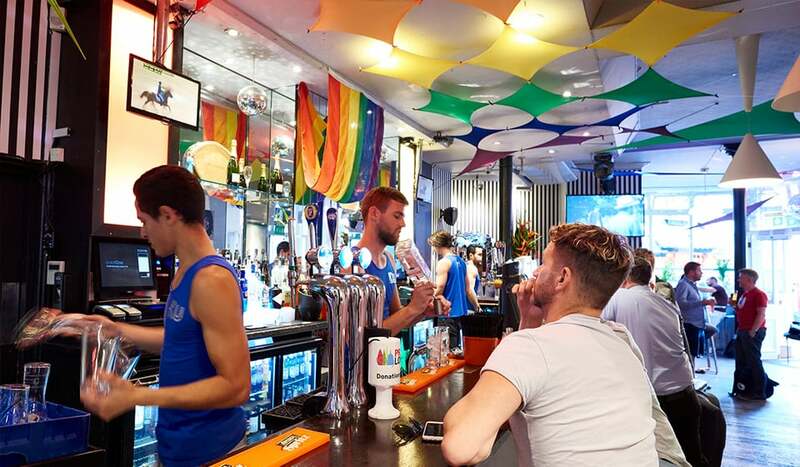 Bedecked in black and white humbug stripes and cheery rainbow flags, Ku Bar has a relaxed day vibe. But, after dark, the magic really happens, and party-chasing customers can keep the vibe going by heading downstairs to Ku Klub. 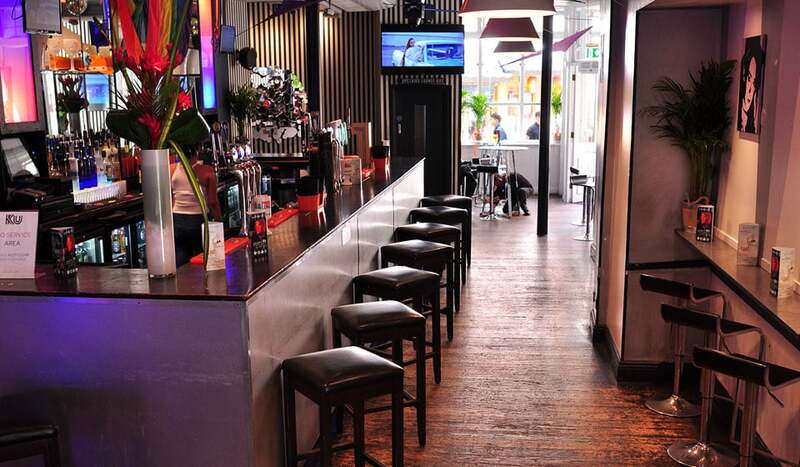 Where resident DJs, like DJ Kerol and DJ Vicki Vivacious, will be spinning tunes till the early hours. And the view isn’t bad either. 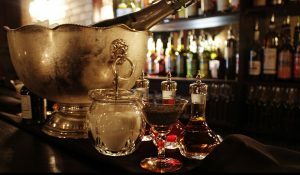 Because Ku Bar’s gorgeous, premium-spirit dispensing bar staff (who apparently love to disrobe at the weekends) have won London’s Sexiest Bar Staff Award countless times. After more than twenty years, that fairy dust is still working like a charm.